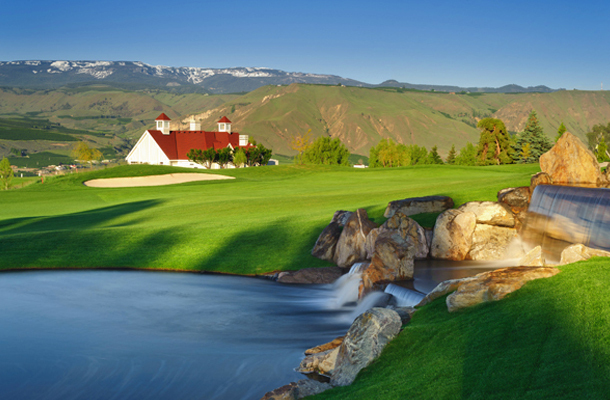 There is plenty to like about Highlander Golf Club in East Wenatchee, Wash.
Not only does the course offer up some terrific views of the nearby Columbia River, the layout is challenging, there is new water features and there is more to come. If you haven’t been to Highlander Golf Club in a while, you just might not recognize the place. Perched at 800 feet above the Columbia River, Highlander Golf Club is a place golfer’s look for: A golf course with a challenging 6,555-yard layout, scenic views and some great service when you pull up to the bag drop area. The course was designed by Pacific Northwest architect John Steidel and what also helped the course was that Jim Haley did the actual building of the course. Haley is the guy who built Bandon Dunes, so he knew a thing or two about building a Scottish-looking golf course. The course actually opened up as Raven Ridge. But new ownership changed the name and everything else the way the club was doing business. The name change helped keep the Scottish theme and recently, changes to the golf course have given it a new look. Two years ago on the front nine, two new lakes and a waterfall feature were built. And 500 trees were planted along the front nine as well, giving definition to the holes. The bunkers were all re-shaped on the front nine as well. Now comes the work on the back nine, said head professional Joe Gordon. Re-model work on the back nine is expected to begin next year and include new water features and other changes. What sets Highlander apart from most clubs is the ninth hole, a 185-yartd par-3 with a tee shot that must carry a canyon with dramatic views in the background. In fact, the scorecard warns golfers not to attempt to retrieve their golf balls if the shots end up in the canyon. 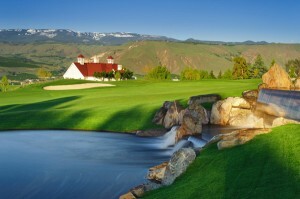 For more information on Highlander Golf Club, call 509.884.4753.